Audio editing can be as simple as trimming a music file into a ringtone or more advanced studio works. In this how-to article, we will guide you with some of the free and popular audio software tools, apps, and online websites. We will show you how to edit audio files in detailed steps with relevant pictures where necessary so you won’t miss a point. We have chosen some of the best audio programs, mobile applications, and online resources and tried them ourselves. It is our hope that this tutorial will help solve your editing questions or point you to the right information. So let’s begin! 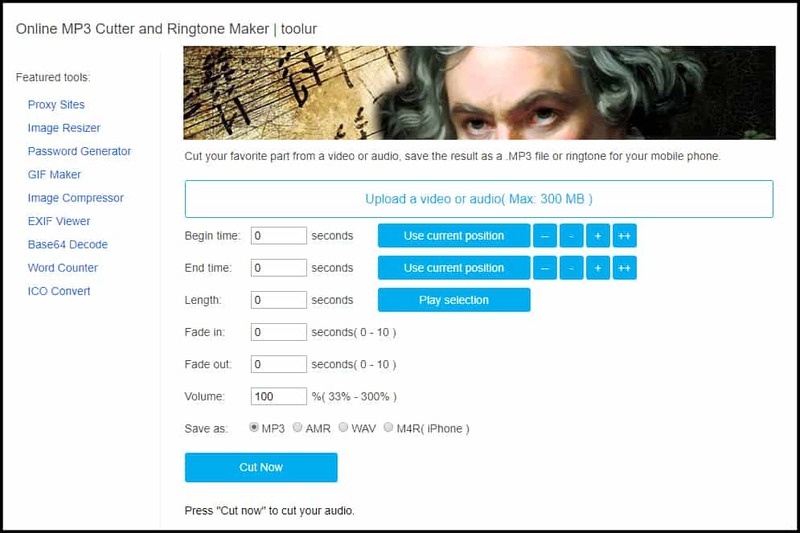 AudioTrimmer is a free online audio trimmer and ringtone maker. The interface is simple and easy to use. It supports MP3, WAV, and several other audio file formats. Step 1. Visit AudioTrimmer website in a browser. Now click Choose File and locate your audio file to edit. Step 2. Your music file will start playing as it loads on the site. To trim the audio segment, select the starting and/or the ending points in seconds. You can enable fading in and fading out effects. Finally, you can select the output format as mp3 or m4r. Mp3 is a widely used music file format while M4r is for Apple iPhone users. Step 3. Press Crop to start the edit process. Step 4. Hit Download to have your edited music file available on your local computer or smartdevice. Furthermore, you have an option to share your work in social media sites. Another simple online audio editor is MP3Cutter. 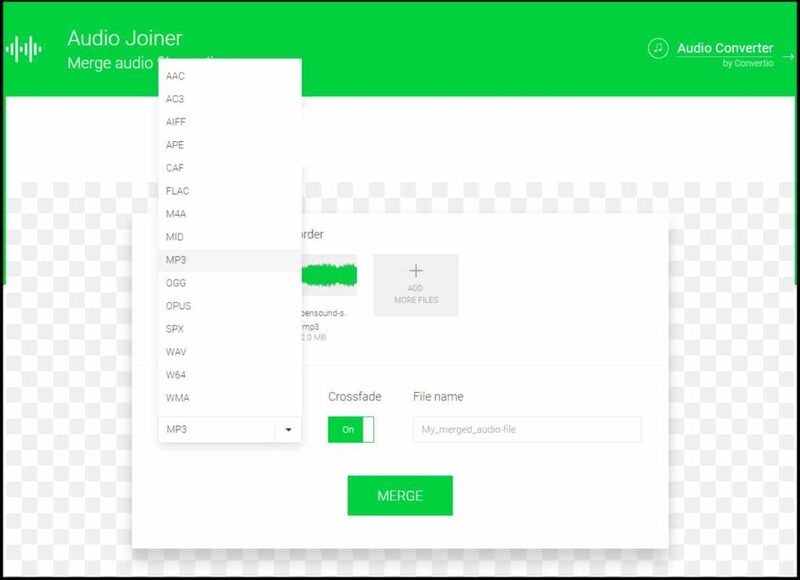 This tool does the basic edit like trimming, fade in, fade out, and volume adjustment. Additionally, you can work with the audio part of your video, and listen to your work before downloading the file. Step 1. Go to MP3Cutter website. Step 2. 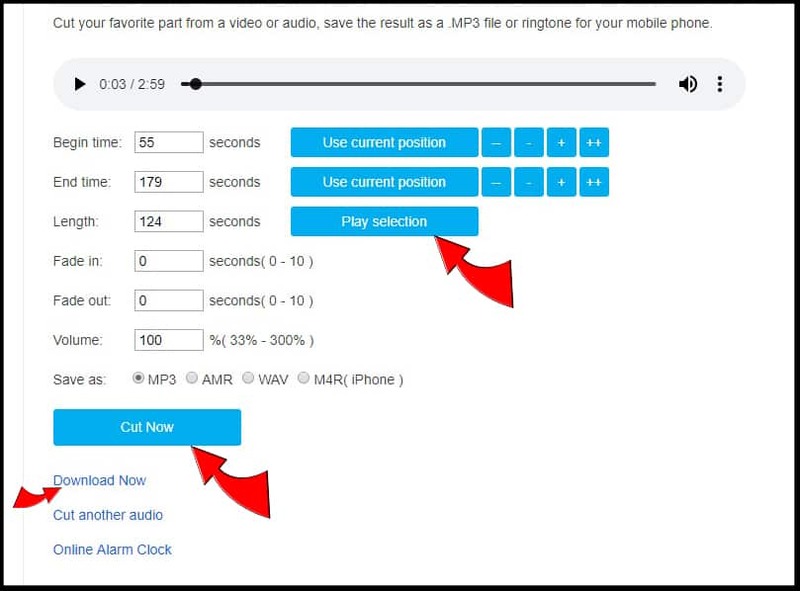 Click Upload a Video or Audio, and locate your music file. Step 3. 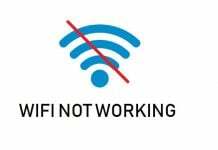 Your Audio file will start playing upon upload. If you’ve uploaded a video file format, it will only play the audio part. To trim the audio segment, select the starting and/or ending time which are represented in seconds. You can also enable fading in and fading out effects. Additionally, you can adjust the volume of the output sound. Finally, you can select the output format as MP3, AMR, WAV, or M4R. Step 4. Hit Cut Now when you have applied your desired changes. Step 5. You can hear the edited audio before downloading the file by clicking Play Selection. Press Download Now to save a copy to your local device. Sometimes we need to merge audio files on the go. We can easily accomplish this by using Mergeaudio online site. Step 1. Visit MergeAudio on your computer or mobile device. Step 2. 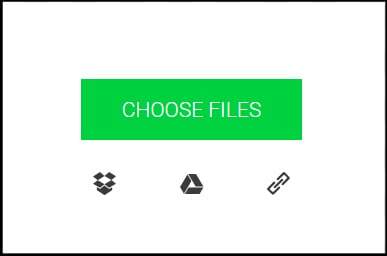 Click CHOOSE FILES and navigate to the files. To select multiple files, hold down the Ctrl key and left click on the audio files to choose. Hit Open to upload the music to the site. Step 3. If you need more files, then select ADD MORE FILES and locate the additional audios to import. Step 4. Choose the output format from the dropdown list. You can apply the crossfade effect between songs so the transistion to a new music is more subtle and harmonious. If you need to change the output filename, you can enter it in the File name box. Step 5. Hit Merge when done. The website will process your request. Step 6. 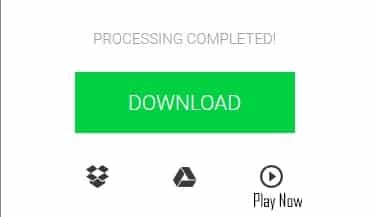 When the processing is complete, you can click Play Now button to listen to the joined audio, press Download to save it in your local device, or select one of the cloud storage options. 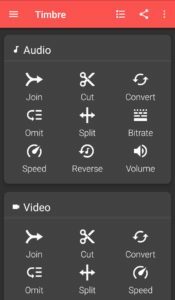 Timbre is a nice little Android app that can edit your audio as well as video files. 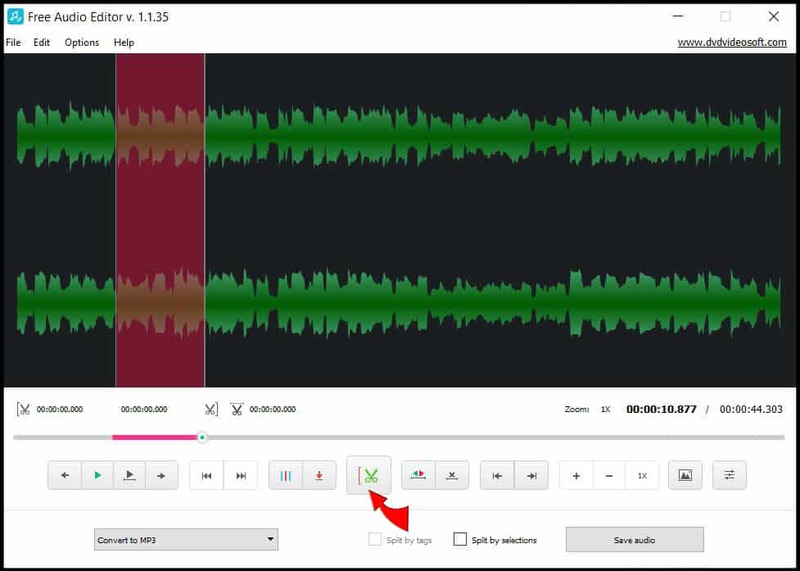 You can cut, join, split, change speed, or reverse the audio. The interface is simple and clean. For this guide, we will merge two audio files. Step 1. Install the Timbre app on your smartphone. Step 2. Tap the Join icon. Step 3. 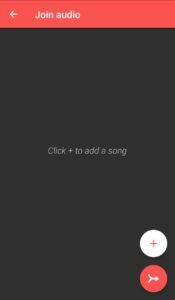 Hit the + logo to add songs. Step 4. 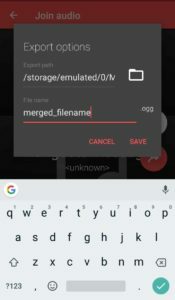 When your files are imported to the app, press the Join icon below Add. Step 5. To save the merged file, choose the destination folder location and give a filename. Tap Save when done. Hokusai is a powerful multitrack audio editor for iPhone, iPad or iPod touch Apple devices. You can do simple editing like trimming and merging, as well as more advanced rendering like applying filters and special effects to bring about the desired change on your music files. Step 1. Install the Hokusai app from the App Store. Step 2. 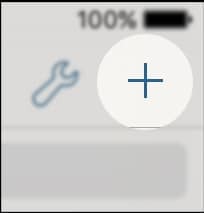 To create a new audio project, tap the New Project button with + sign on the top-right of the screen. If you want to work with an audio file, you can import a sound file to edit by choosing the Import icon. Step 3. 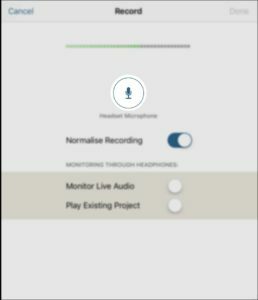 Hit the microphone icon to record your audio. If this is the first time you are using this app, then you’ll need to grant permission to the app to access the device microphone. Immediately, the record panel will open showing the current mic level and a record/stop toggle. 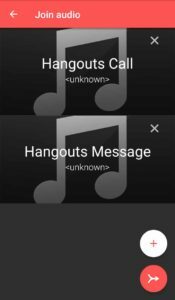 You can record your audio by using the toggle button. With a headset, you can listen to your recording by toggling the Monitor Live Audio button. Step 4. Now tap to select the starting position on the track that needs editing. Slide your finger acrosss the track to select a region to edit. You can pinch or expand two fingers across the timeline to zoom the track waveform. Step 5. 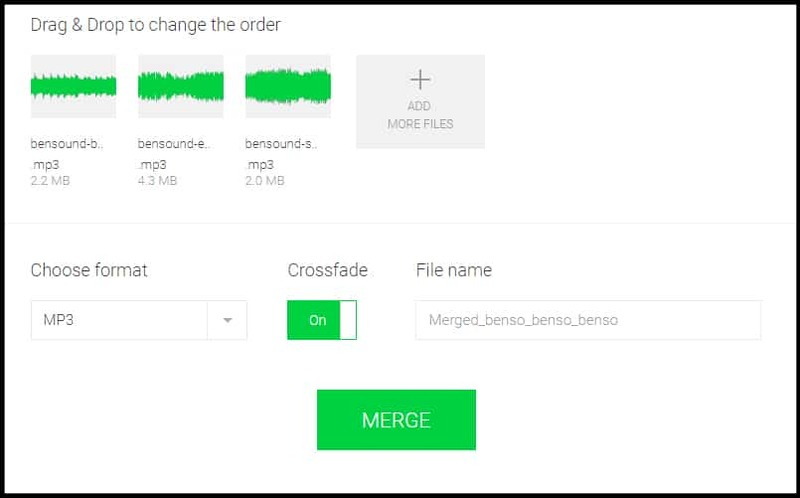 Select one of the edit options to bring about your desired changes on the recorded audio. Additionally, you can apply Effects by tapping more…. However, do keep in mind that some of the effects are not available in the free version of this app. Furthermore, you can add more tracks to work on with Hokusai. To remove a track, hit the Settings menu on the left of the track, and tap delete. Step 6. The edited file is saved in My Documents folder. If you want to export your work, go back to your documents by clicking My Documents on the upper left. 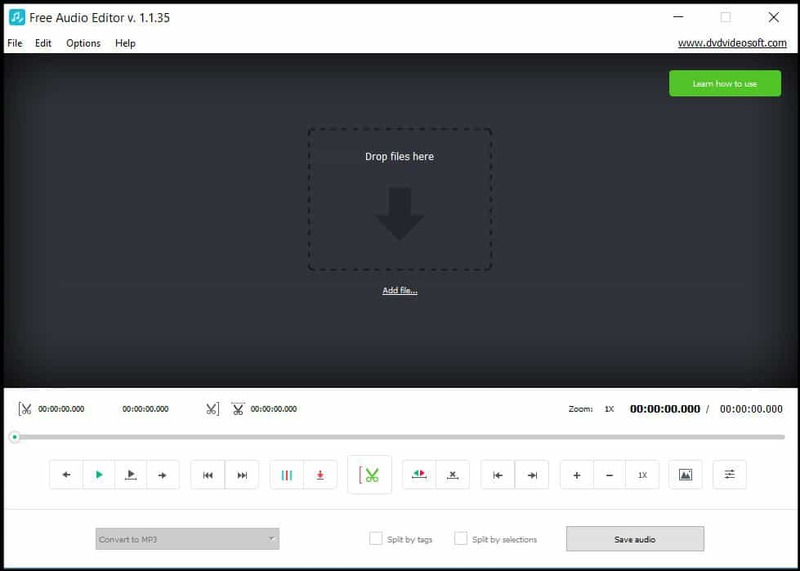 Hit the Export icon on the top left corner. Now select the project you want to export, and tap Export on the lower right corner. Choose the file attributes like sound quality, file format, and select the destination cloud location to export your audio file. Likewise, you can open your edited audio file in another app by choosing an appropriate app from within Hokusai. 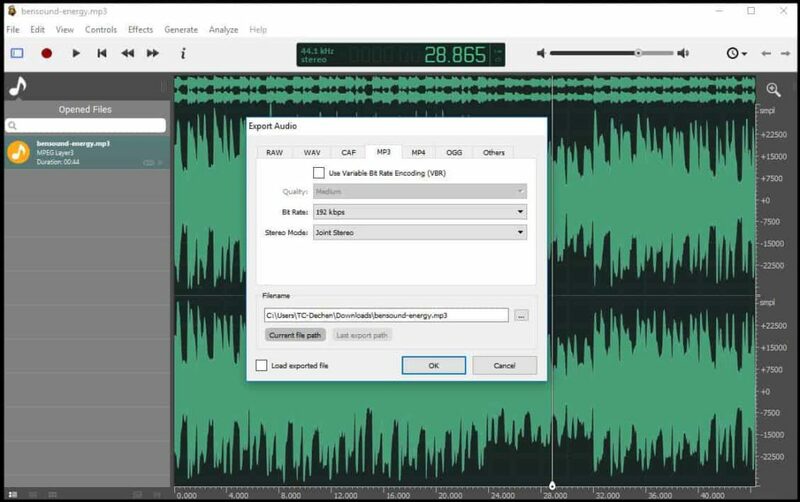 Free Audio Editor is a simple and basic alternative to online audio trimmers. It is a not resource intensive application, and you can save your sound file in different formats like AAC, MP3, FLAC, WAV, OGG, or M4R. Step 1. Download and install Free Audio Editor. Step 2. Drag and drop your audio file in the program window. Step 3. Select the audio section to trim. Position the cursor point to a desired position on the track waveform for the starting point, and press Begin Selection icon which has a Scissor logo. Now drag the indicator or click on the appropriate point, and hit the same scissor icon for End Selection. The selected area for trimming will be colored in dark red. You can highlight more than one section for trimming. Step 3. Choose the output file format and hit Save audio. Press Continue in the next popup widow to begin the editing process. The program will delete the selected parts, and then save the audio in the chosen file format. Hit Open folder when the processing is done to review the output file. Audacity is perhaps the best free audio editing program available for Mac, Windows, and Linux environment. You can import your music files in tracks as well as record yourself live. 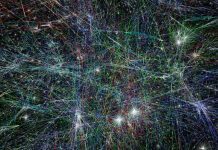 Furthermore, you can edit, remove background noise, and add different effects, among some of the things you can do with this software. This section will serve as an introduction to Audacity and how to do simple editing. You can do a lot more with this program. 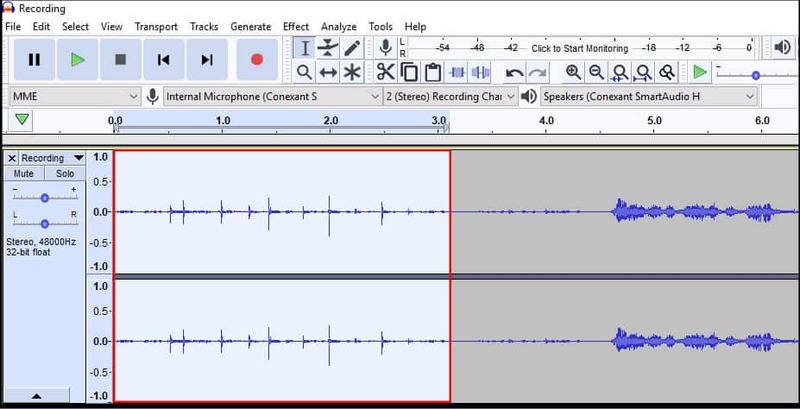 As an example, let’s remove the background noise from an audio recording using Audacity. We recorded ourselves while we were hitting keys on our keyboard. We let few seconds of key tapping noise persist before we began to speak. This was done so we could input the noise profile in Audacity. Step 1. If you don’t already have Audacity in your computer, you can download it from the Audacity site. Step 2. To import audio file/s to the Audacity tracks window, hold down the Ctrl and Shift keys, and tap I. Alternatively, you can navigate to the import Audio sub-menu by clicking File menu and then selecting Import. Additionally, you can drag your files to the Audacity tracks window. To record your audio, press the Record button on the Transport toolbar. As a shortcut, you can press Shift and hit R to begin recording. If you are editing only one music file, then you can open the file using Ctrl and O, or by navagating to the File menu and then selecting Open. When you open a file, Audacity will start a new window with the selected file. 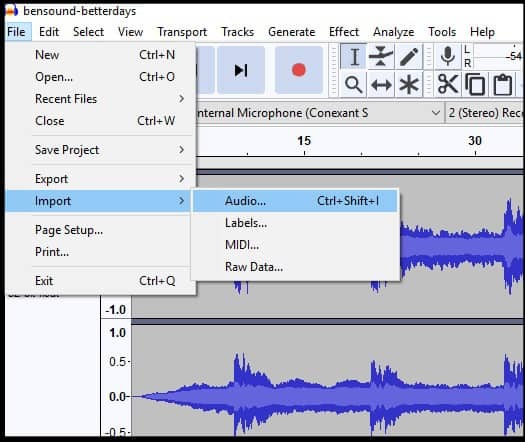 If you want to work with multiple tracks or import more than one audio file, then you can import them so that they are opened on the individual tracks in the same Audacity window. An audio track is represented as a stereo waveform with the left channel on the top half and the right channel on the bottom half. The ruler above the waveform indicates the length of a track in minutes and seconds. The default Audacity tool cursor is Selection Tool which can be used to select a part of a track/s for editing. You can choose Time Shift Tool to move a track horizontally on the time axis. The Multi Tool can be used to automatically select one of the five tools on the toolbar according to mouse moves and key presses. The mouse pointer shows the current mode. Step 2. There are a whole host of editing options available from simple cutting or pasting an audio part to working with multiple tracks to bring about the studio like quality in your audio work. For this tutorial, we will select the audio part with some background noise. Use the Selection Tool to highlight the part with only the background noise. To do this, left click on the starting point and drag the selection to the desired ending point so it covers the area with more pronounced background noise. 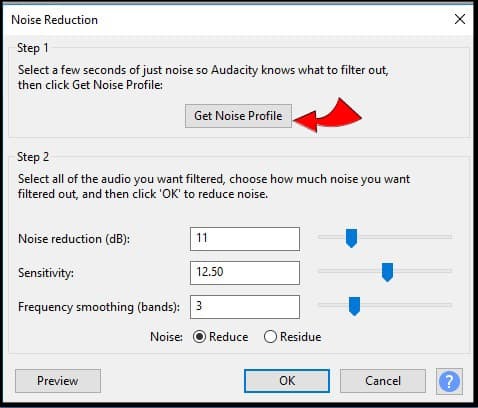 Audacity has an Effect tool to filter out an undesirable sound. 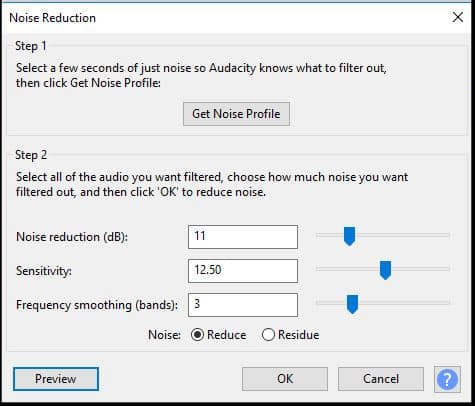 Select Noise Reduction from under the Effect menu. With the noisy area in the track already selected, hit Get Noise Profile to analyze the noise on the selected part of the track. Now select the audio portion which needs the background noise reduction. You can use the selection tool to highlight a desired area within a track. Alternatively, you can press Ctrl and A to select the entire track to filter out the noise. 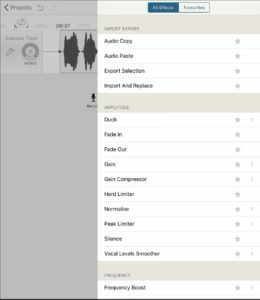 Go to the Noise Reduction tool again from the Effect menu, and this time you can preview your audio with the noise reduction effect applied. You can tweak with the Noise Reduction, Sensitivity, and Frequency Smoothing to take care of any noise not caught by the tool. Hit OK to process the effect. You can visually find the reduction in the background noise in the waveform track window. To remove any track portion, select the unnecessary track area and click the Cut tool from the toolbar. The selected part will be removed and the track is shifted left so that there is no gap on the trimmed area. To save the track, navigate to File menu, click Export, and select the output file format. If you want to save your Audacity project to work on it later, you can select Save Project from under the File menu. Ocenaudio is like a light version of Audacity although it is similar to Audacity in many features. 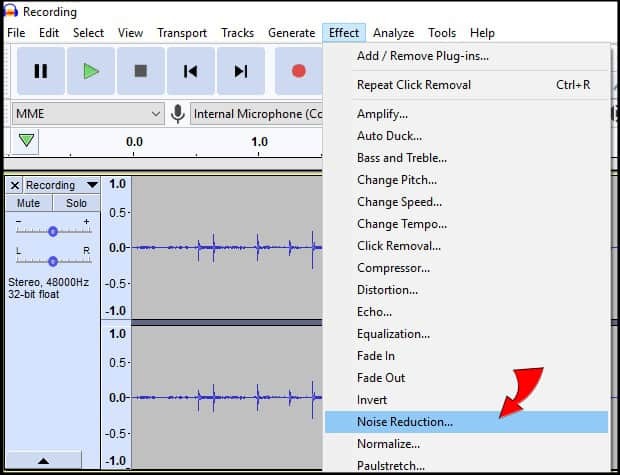 You can trim audio, record yourself, remove noise, as well as apply many effects. Step 1. Download and install the Ocenaudio program. Step 2. Drag and drop your audio file on the Ocenaudio window. If you are recording yourself, then select New from the File menu. 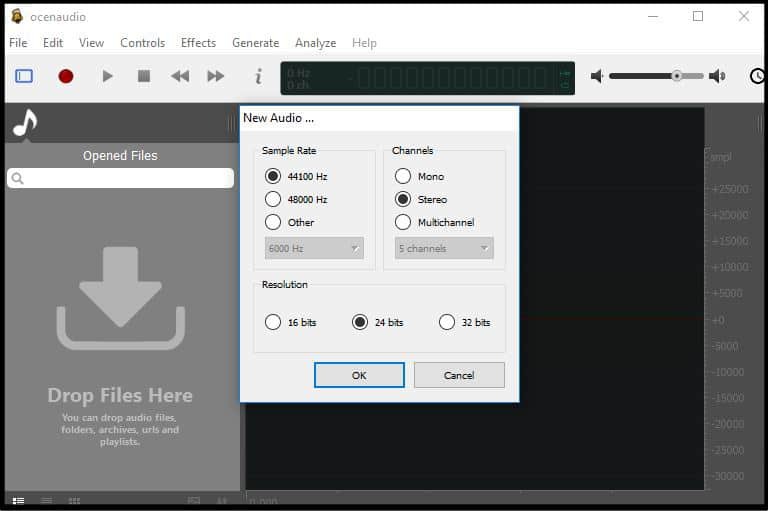 Choose the Sample Rate, Channels, and Bit Resolution attributes for the audio. Step 3. You can cut or trim an audio section, add sound, reduce noise, or apply different effects. Step 4. To save your work, press Ctrl and S.
You can save your audio file in several formats as well as change audio attributes like Quality, bit rate, or Stereo Mode by selecting File menu and then clicking Export. If you want to do simple editing like trimming music files, then you can use online websites like AudioTrimmer or MP3Cutter. To merge audio files, MergeAudio is a decent option. With smartphones being ubiquitous these days, audio editing apps offer an ease and convenience when we need to work with our audio files. Timbre is a good option for Android platform while Hokusai is a more powerful choice for iPhones. When it comes to the free audio editing desktop software, Audacity is a better choice because it has many advanced editing features. Do you know World War Z has sold over 1M+ copies?